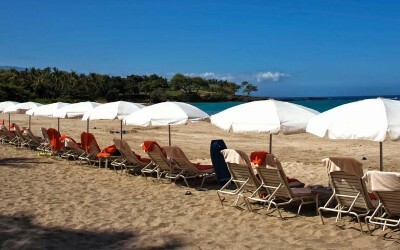 The Mauna Kea Beach Hotel sits at Kaunaoa Bay on the Big Island’s dry and sunny west side. 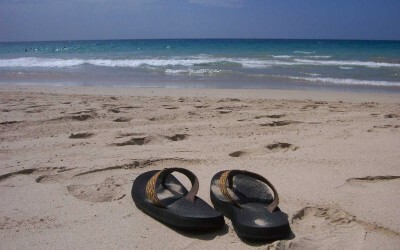 The bay is a gorgeous place to spend the morning or afternoon with swimming, sun-bathing, or strolling. The hotel itself is known for its architecture and has won several awards for its design. 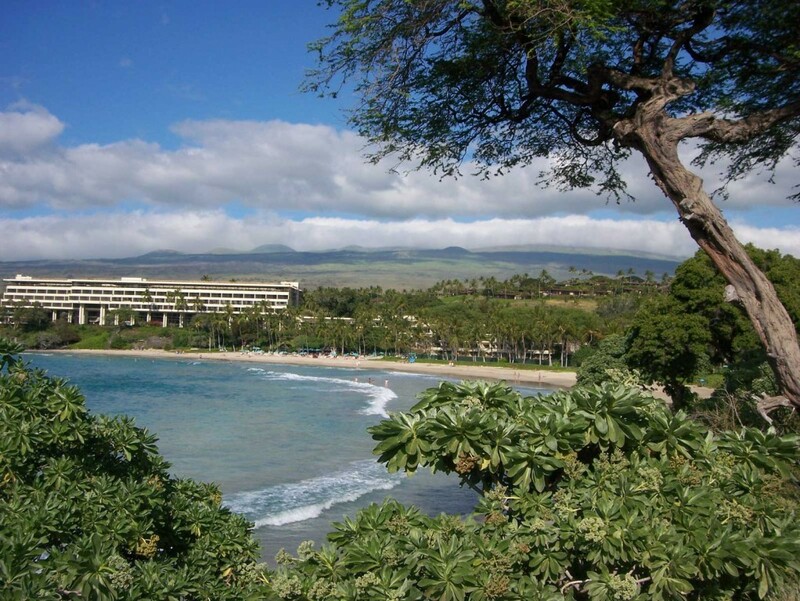 To access the beach one needs to either be a guest at the hotel, to be one of the lucky few to get a beach access parking space at the hotel, or to walk a rugged lava path from nearby Hapuna beach.